"Try the latest inventions today. Discover great products. Rent directly from startups. Or add your own product, get early adopters and feedback. We want to connect inventors, creators, makers and doers by bringing their products on to a widely available platform; cut costs and reduce waste by making them reusable and shareable. 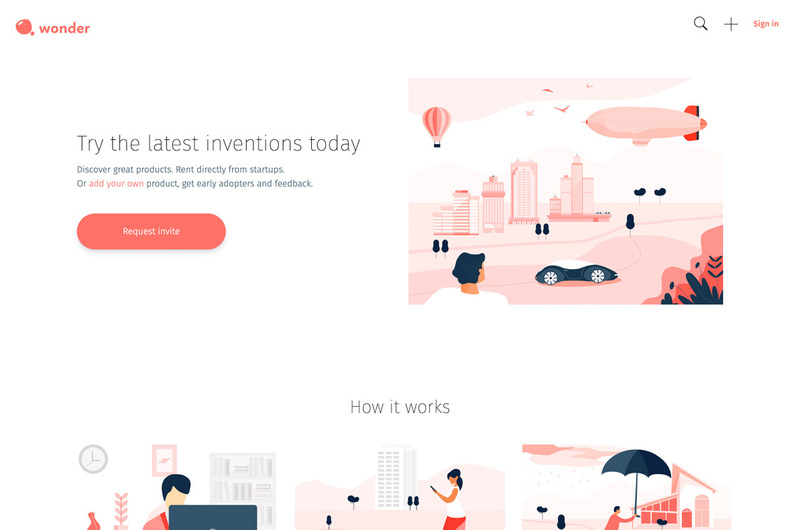 When trying new products via Wonder, people get inspired and encouraged to invest more in the inventions they like, or create their own and improve upon an original idea."